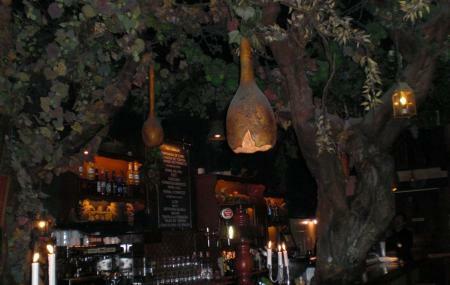 The cosy little bar is a must visit for its unique décor and ambience. Designed around the theme of an enchanted forest with fairies, the bar and cafe is fun for visitors of all ages. With candle-lit tables and forest decor, one gets swept up in the magical feeling of the place. Located in the Museo de Cera (Wax Museum) one can visit just the bar or both places together. Ideal for pre-dinner drinks, romantic dates and special occasions. While the food is not exceptional, the drinks and ambience definitely make up for it. Children are permitted during the day. Can be visited along with the Museo de Cera. Go here early as the place gets crowded later in the night. How popular is El Bosc De Les Fades? People normally club together El Paballon De Barcelona and La Boqueria while planning their visit to El Bosc De Les Fades. People also prefer to end their day with El Bosc De Les Fades. This place is very special given its design and the generated atmosphere. You can enjoy a magical-fairy-ish set with your friends or quiet, romantic night if you find a more remote corner. The drinks are tasty and not so expensive. The downside would be that on weekend nights it might be very crowded and the waiting at the bar could be longer or the serving a little bit chaotic. Lacking service, the interior of this fairy tale inspired bar is worth a quick visit. Order a coke and explore the place. It's undeniably one of the best hidden gems in Barcelona. But again: don't go there for the hospitality. Excellent interior, stands out of all similar places. Nice drinks and cocktails, polite staff. Fairly priced.